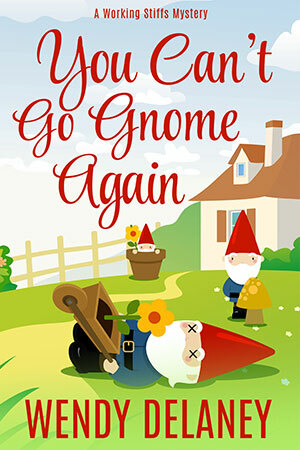 Four garden gnomes and their owner, Emmy Lee Barstow, mysteriously disappear and then she’s located the next day—dead! Deputy Coroner and human lie detector, Charmaine Digby, is determined to get to the bottom of this murder mystery and has no shortage of suspects. All she needs to do is unravel a dangerous web of lies . . . without becoming the next victim!